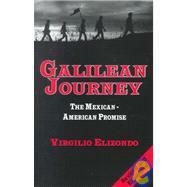 Galilean Journey by Virgilio Elizondo is a fantastic book relating the story of Jesus with the story of Mexican-Americans in the United States. Virgilio is a Hispanic priest from San Antonio who has written numerous good books on ministry to Latinos. In Galilean Journey he examines more closely Jesus’ identity not only as a Jew, but specifically as a Galilean. Curiously, this is rarely explored in any commentaries or theological writings. In Jesus’ time, Galileans were a doubly rejected people. Romans looked down on them because they were Jewish. Jews from Jerusalem looked down on them because they were not from the power center of society (think about all the passages in the New Testament that talk about the disciples being from Galilee, the people from Jerusalem are racist towards them!). With a sweet irony, these are the kinds of people that God delights in using. He loves to work through doubly-rejected people. But more than that, He likes to BE a doubly rejected person. When God decided to come to earth, He came not just as a Jew, but as a Galilean, a doubly-rejected person. We have so much to learn from Latinos and their experiences here in the United States. I can’t recommend this book enough to not only help you understand their story, but also help you deepen your understanding of and love for Jesus. It will truly draw you closer to Him and the people He has called you to reach as you learn about the ways they are connected to one another.